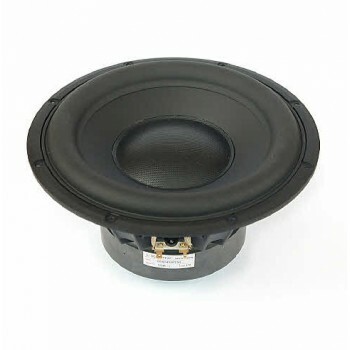 Scanspeak 26W/4558T00 Sub-Woofer - Discovery Range. 10" 4 ohm Woofer, Extra High output, excellent performance. Aluminum Ring Magnet System. Anodised Aluminum cone with Glass Fibre Dust Cap, die cast aluminium chassis ( vented below spider), 25mm linear excursion, 56mm peak.